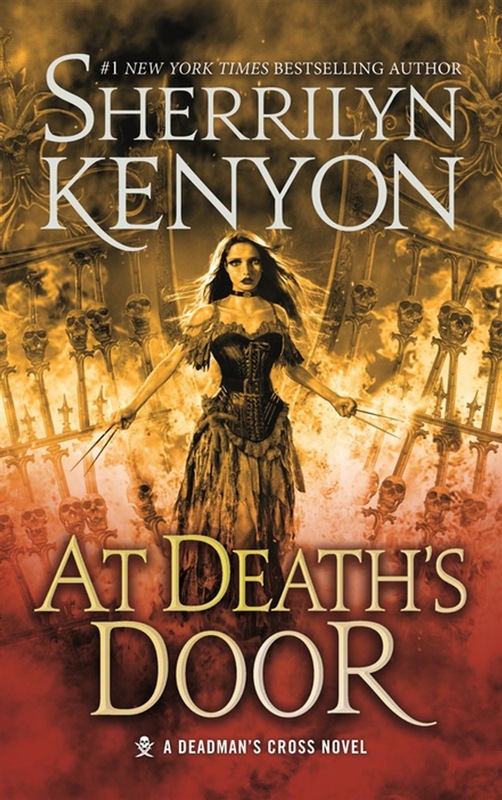 #1 New York Times bestseller Sherrilyn Kenyon brings us the final chapter in the Deadman's Cross saga with At Death's Door, an epic pirate fantasy perfect for her millions of Dark-Hunter fans Welcome to the latest Deadmen’s Quest... Valynda Moore was born cursed. So when she dies as the result of a spell gone wrong and is trapped in the body of a voodoo doll, she expects nothing else from her messed up life. Until Thorn, leader of the Hellchasers, offers her a chance at redemption and a new life. But nothing has ever gone her way, for the Malachai, the very beast she and her crew of Deadmen have sworn to keep locked away, has risen. And this time he’s taken prisoners. Valynda must keep her wits about her or be denied her salvation and forced to watch as the entire world falls into the hands of absolute evil. It’s a demon-eat-demon world where the stakes have never been higher and either redemption or the ultimate betrayal waits for her at Death’s Door. At the Publisher's request, this title is being sold without Digital Rights Management Software (DRM) applied. Acquista At Death's Door in Epub: dopo aver letto l’ebook At Death's Door di Sherrilyn Kenyon ti invitiamo a lasciarci una Recensione qui sotto: sarà utile agli utenti che non abbiano ancora letto questo libro e che vogliano avere delle opinioni altrui. L’opinione su di un libro è molto soggettiva e per questo leggere eventuali recensioni negative non ci dovrà frenare dall’acquisto, anzi dovrà spingerci ad acquistare il libro in fretta per poter dire la nostra ed eventualmente smentire quanto commentato da altri, contribuendo ad arricchire più possibile i commenti e dare sempre più spunti di confronto al pubblico online.